140 years after the opening of its first silver workshop Robbe & Berking is re-launching its anniversary cutlery in 2014 – a design which is one of the most traditional and most beautiful of this long-established manufactory. HERMITAGE. A classic pattern that lives up to its name. 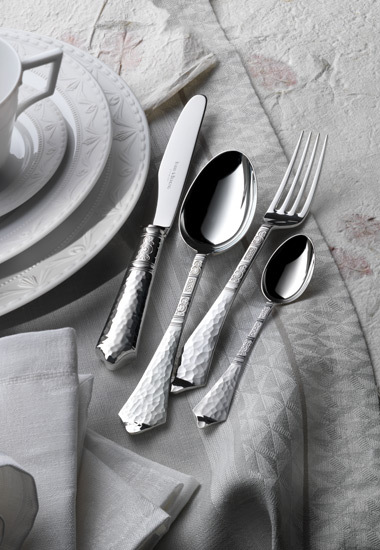 Stroke by stroke the silversmith’s hammer creates a cutlery surface that refl ects the light myriad times. The contemplator has the impression he would stand at the pinnacle of a mountain and is overlooking sunlit and glittering mountain ranges.